Not just better living. A better life. Welcome to Genoa Lakes! We are a pet friendly community located in Mesa, Arizona. Come find the perfect balance of luxury and comfort with plenty of amenities designed to keep you happy and occupied. Our apartments are intended to be enjoyable and agreeable, so we include thoughtful touches like hardwood flooring, ceiling fans, washer & dryers, and balconies to our apartments. With one, two and three bedroom apartments for rent, we are confident you will find the perfect place to call home. Our apartments in Mesa are conveniently located close to the major freeways. We are a 20 minute drive from Tempe’s Arizona State University and have countless options for dining, shopping and entertainment at our doorstep. We are a pet friendly community and understand the importance of community and open space. You can always walk around our beautiful, maturely landscaped community or go across the street to enjoy the greenery.  We have so much to offer our residents here at Genoa Lakes and can’t wait to welcome you home. We invite you to come and take a tour of our apartments. If you want a sneak peek, please visit our photo gallery. Call or text today (480) 725-3953.